Through her holistic based therapeutic approach, Phyllis has been successfully treating adolescents for nearly 15 years. She is licensed as a Clinical Mental Health Counselor with specific training in dialectical behavioral therapy (DBT), psychodrama, and eye movement desensitization and reprocessing (EMDR). Phyllis has completed advanced EMDR trainings geared specifically towards working with children and adolescents. Her training is specialized in complex trauma, dissociation, attachment and a somatic-based approach. Phyllis has experience working with a variety of clients and has provided them all with quality treatment and helped them reach their personal therapeutic goals. Some areas of specialty include treatment resistance, complex trauma, attachment, anger, aggression, anxiety, depression, substance abuse, ADHD, and working with transgender adolescents. 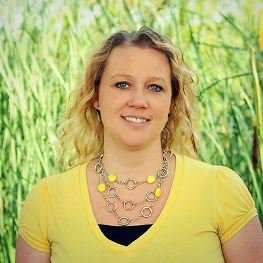 After receiving her bachelor’s degree from Utah Valley State College in 2005, where she studied Behavioral Sciences with an emphasis in Social Work, Phyllis began her therapist career as a Counselor at Slate Canyon Youth Center. Her career continued as a Probation Officer with the Utah State Courts and earning her master’s degree in Counseling in 2007. After receiving her master’s degree, Phyllis accepted a position as a therapist at Cottonwood Treatment Center in 2008. In 2013 she began working as a therapist at Elevations RTC. In her free time, Phyllis enjoys the outdoors, traveling, going to movies, reading, art, and spending time with her family.